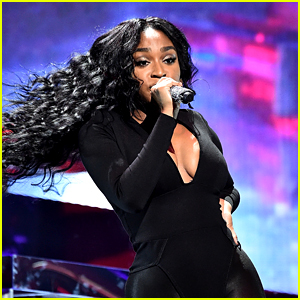 Normani Performs ‘Waves’ on ‘The Tonight Show’ – Watch Here! | 6LACK, Music, normani | Just Jared Jr.
Normani lit up the stage in blue on The Tonight Show Starring Jimmy Fallon on Wednesday night (March 13)! During the performance, Normani and her crew of dancers got in formation while showing out with their synchronized moves. 6LACK emerged for his brief verse before Normani capped off the sultry set on a high note. Tonight Show‘s very own Questlove took to Twitter to praise her performance: “After some 2000 summed odd episodes of Late Night/Tonight I’ll say that @Normani’s performance on #FallonTonight was one of the most impressive,” The Roots drummer said. 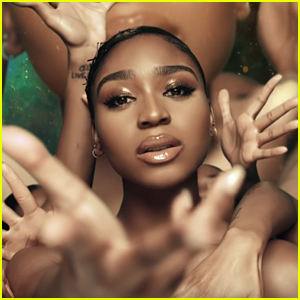 Normani Is So Stunning in the Music Video for 'Waves' With 6LACK - Watch! Normani Teams Up With 6LACK on 'Waves' - Listen Now!